Module 1.0 What is AC? • Fundamental & harmonic content of waves. • Describe a sine wave. • Recognise basic complex waveforms. Module 1.2 Measuring a sine wave. • Determine sine wave characteristics. • Peak to peak value. • Periodic time & frequency. Module 1.3 AC Waves Quiz. As you study this and the following modules on AC theory, notice that the circuits described use two main components, inductors and capacitors, which in many ways seem to have opposite and complimentary effects. It is the way they are connected in a circuit, as well as their individual electrical values that are key to the many uses of these circuits. Although in many cases these basic combinations of inductors and capacitors may now be replaced by new and usually smaller ceramic components, the basic principles of these LCR (inductor, capacitor and resistor) circuits are essential to understanding the operation of many electronic systems and the signals that use them. Because waves are the basis of so many signals in electronic circuits, it is important that engineers and technicians can make measurements of the important characteristics of the waves used in AC technology. When AC is mentioned, perhaps the first thing that comes to mind is the "mains" or "line" supply that brings electricity to homes, factories and offices. There are many different applications of AC, and although the meaning of AC, is "Alternating Current" (a current that alternates its direction of flow around a circuit) "AC" is often used in other terms such as "AC signal" and even "AC voltage". Whenever the current in a circuit alternates, so will the voltage, and an alternating voltage will of course, cause an alternating current, even though in many cases one or other of these properties (voltage or current) may be so small as to be insignificant. These alternating currents and voltages come in very many forms, the electricity power supply of course, and all sorts of other signals too. Sound, light, video, radio, all produce signals that alternate; meaning, they change their values over time, alternating above and below a particular value (often, but not always zero). Our bodies also produce alternating electrical signals, as do all sorts of natural and man-made objects and devices. These signals are what engineers and technicians are most often interested in when studying electronics, but signals come in many very different forms. To understand complex signals, there is often a need to simplify them; if the signal can be understood in its simplest form, then that understanding can be applied to the complex signal. 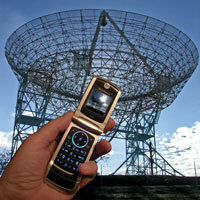 Many signal waves, tend to be repetitive, or "periodic". They repeat a particular pattern or wave shape over a regular time period. The most important of all the different wave shapes is the sine wave, because any periodic wave can be shown to be made up of a series of pure sine waves, perhaps of many different frequencies and amplitudes. The sine wave is important to electronics engineers because of its purity, it consists of only a single frequency, it alternates regularly above and below its mid value at a constant rate. 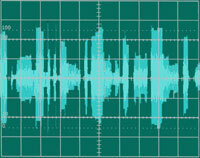 In a musical note this rate, the frequency, would be referred to as the pitch of the note. 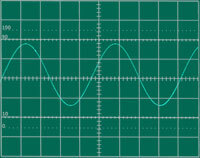 All waves except sine waves contain many different frequencies. They have one dominant frequency called "the fundamental", plus (often many) others called "harmonics", that give a wave its particular character. Rather than looking at how a circuit acts with complex periodic waves, that are made up of a series of pure sine waves, it is much easier to use single sine waves. Measuring sine waves is therefore important as the results obtained are a major source of information in understanding the operation of electronic systems of many kinds.